I truly believe in the fact that ‘EVERYDAY’ is ‘SPECIAL’ with your loved ones and you do not need a particular day to celebrate it. But somehow, when I look around in the month of February around the malls and shops, I see everything in red. Everything is so beautifully decorated. In a way it is mesmerizing. It definitely does bring out the romantic mood. Actually all this truly epitomizes that ‘Love is in the Air’. All this overwhelms me and soul inside me compels me to buy gifts and flowers all the time. So somehow, February is a month of romance with lots of cupid goodies to make and eat around. So I did make a delicious Cupid Strawberry Delight for the occasion which you must try. Donot forget to vote for it on Food Frenzy!! Click Here. So this Valentine Day was actually a working day. We did exchange wonderful bouquet of flowers and gifts. I just love getting gifts whatever the occasion may be! We usually plan our dinner ahead of time but due to some circumstances we could not do it yesterday. So most of the places were booked already. But we finally got a place at the most popular Italian joint in Delhi, Big Chill Cafe. It is certainly one of our favourites! Their grills, bakes, ice creams and desserts are just to-die for. After the most heavy and cheesy dinner, we had their speciality i.e Missisipi Mud Pie and Banofee Pie. Yum Yum Yum, I can still recall the flavors as I write. Wishing all my reader’s a Happy Valentine Day!! Thanks for showering love on my blog! What a sweet treat! Happy Valentine’s Day! That’s a wonderful picture of you two at the Valentine Mall… nice to “meet” both of you! 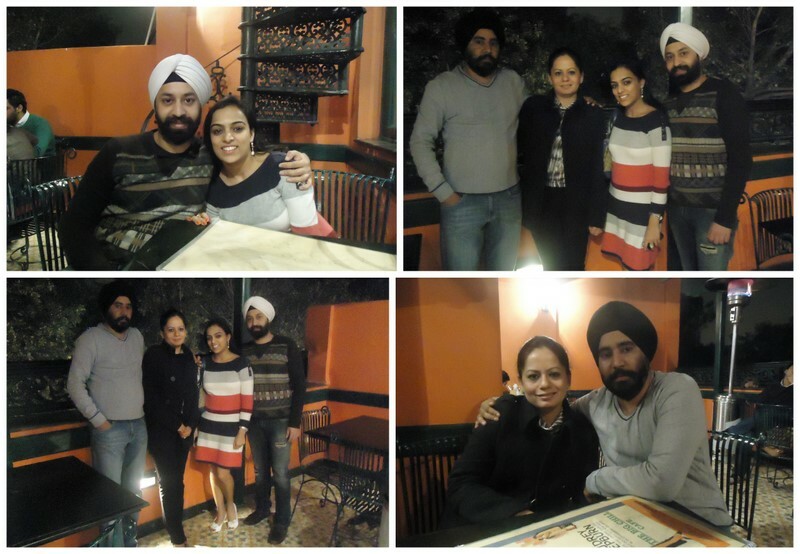 It was fun to see pictures of your evening out, too — such a good time! 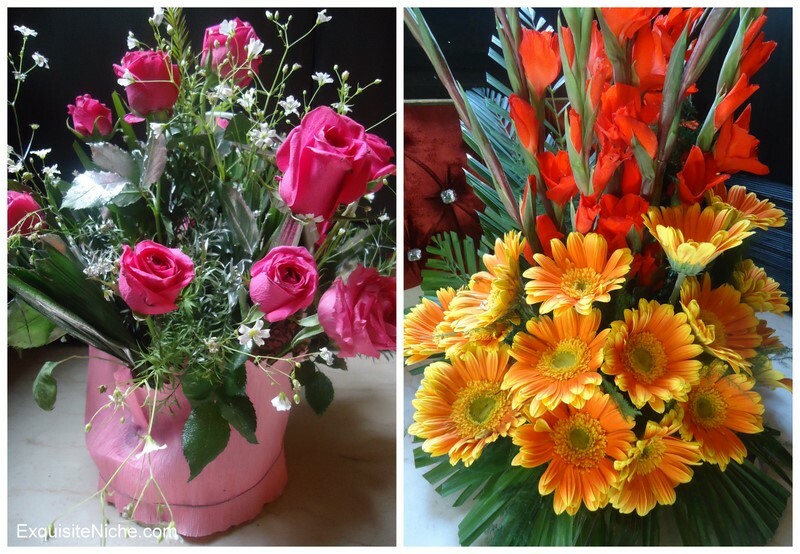 I keep looking at your bouquets — GASP, they’re just beautiful!!! — so thoughtful of you to get one for your hubby, too. Yes, I think you’ve made up for everything 🙂 and your post is definitely filled with LOVE! Beautiful photos, love the bouquets. Thanks for sharing your celebration photos. Glad you had a lovely Valentine celebration! Love the beautiful flowers and gorgeous cake! Such an adorable and fun read! The flowers and cake were beautiful. I had to think as you mentioned never buying flowers for your husband that I have never bought any for mine either. Glad you were able to have a fun time together for dinner. Such a wonderful read. Heartfelt and touching..!